The Dim Sum Diaries | ‘The Humble Shroom’ at 208 Duecento Otto | "One cannot think well, love well, sleep well, if one has not dined well." I’ve been to 208 plenty of times, be it for a casual dinner downstairs, a glass of wine at the bar, to collect a takeaway pizza, or for a slightly fancier dinner upstairs. However, it has not yet found a place on my blog…until now. 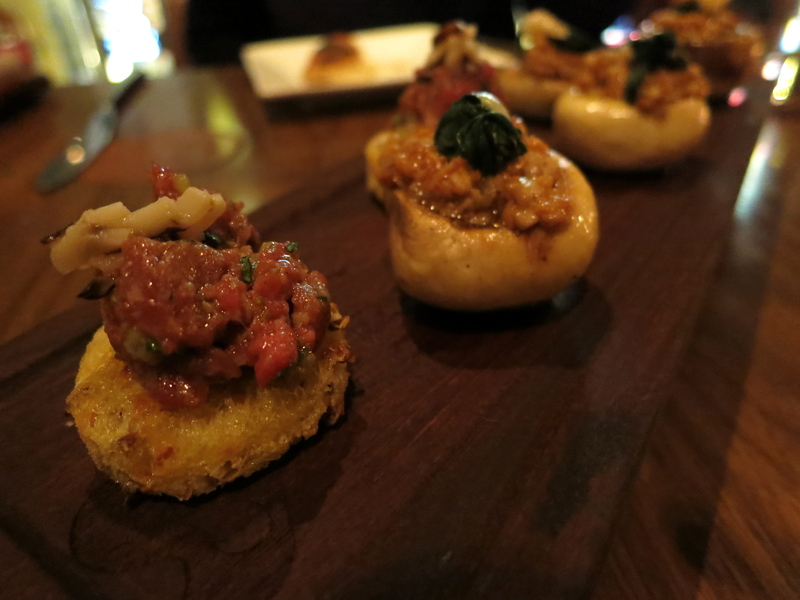 I was lucky enough to be invited to try 208’s ‘The Humble Shroom’ dinner. Unfortunately this menu is only available until the end of the month, but I still thought it deserved a mention, and hopefully through this, those who haven’t yet put 208 to the test can imagine what its regular standard of meals is like. The setting is beautiful, with toweringly high ceilings and dark wood contrasted with blue and white Chinese-style ceramic tiles. 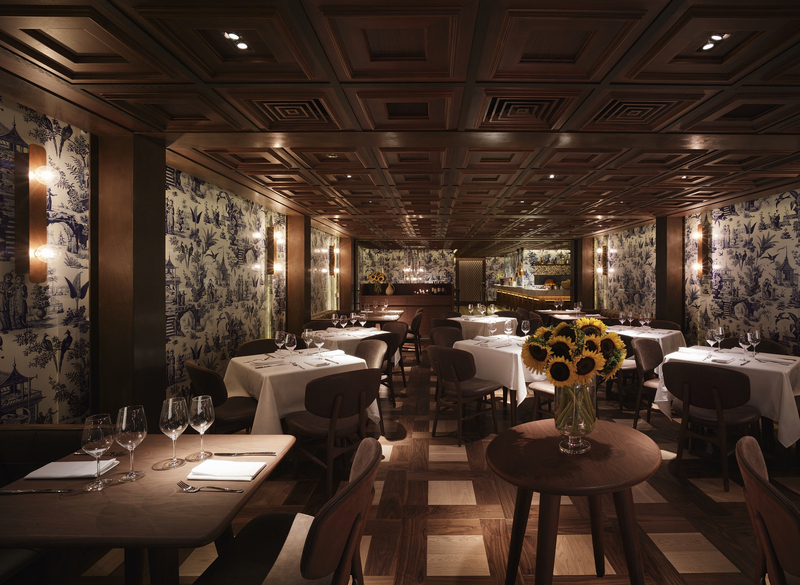 It has an elegant and grand feeling about it, somewhat akin to a restaurant you would find in New York’s Meatpacking District (coincidentally the very spot used to in fact be a meat storing warehouse). 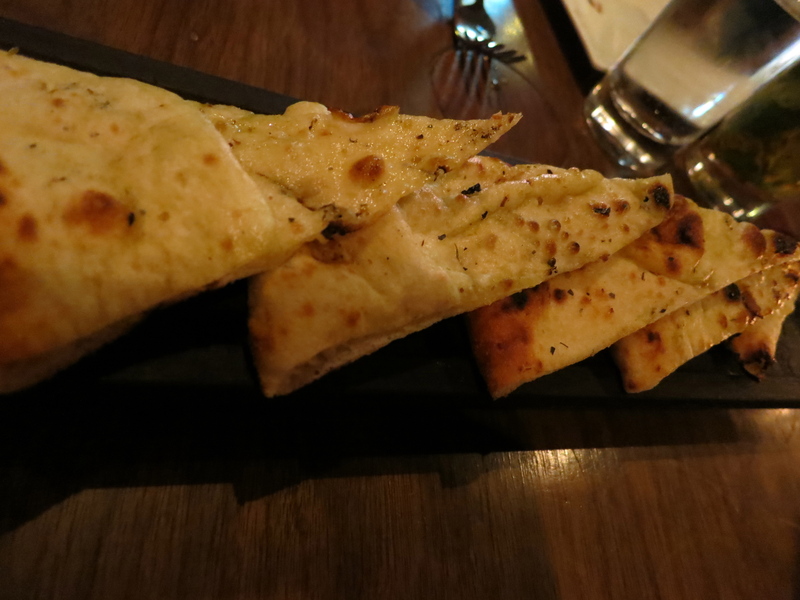 Our evening began, as any should, with some delicious soft buttered pizza bread, fresh from the oven. A note on 208’s pizzas: they are in fact some of the best you can find in Hong Kong, with perfect thin bases and delicious fresh toppings. The first time I went to 208, I was sat at the long marble table downstairs, next to a trio of Italians; when we asked them where in Hong Kong has the best pizza, their answer included 208. On to the main event, some little canapés of Chopped beef carpaccio, pickled shitake and tarragon cream, as well as Roasted field mushrooms stuffed with chopped shitake, wilted spinach and gorgonzola were set before us. While I liked the chopped shitake filling of the latter, there wasn’t nearly enough gorgonzola, so I definitely preferred the beef carpaccio bites. My choice of starter was the White asparagus with shitake, slow cooked egg, burnt butter and parmesan. 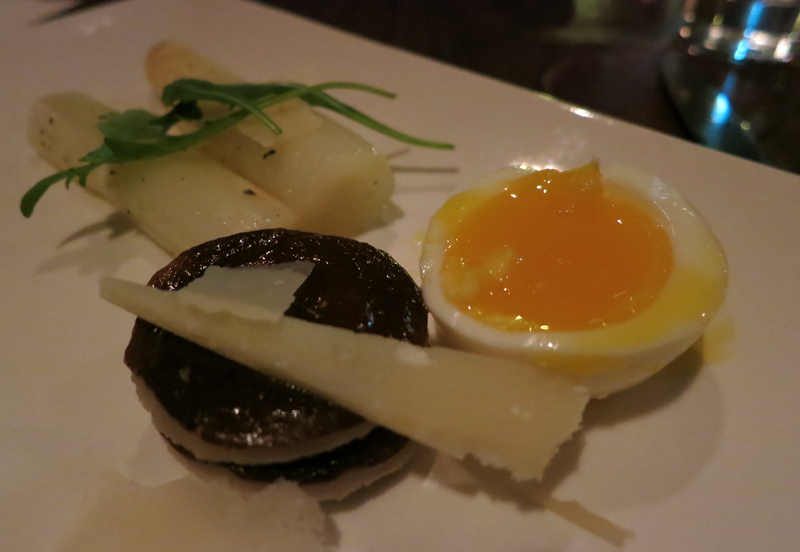 The egg was cooked to oozing perfection and paired wonderfully well with the discs of mushroom. The Roasted suckling pig for main course, served with morel and fava bean ragout, potato and garlic anchovy aioli, was deliciously comforting although somewhat difficult to eat; I kept finding little bones that got in the way of my enjoyment. Although the crispy skin was scrumptious, I found I had to first separate it from the meat in order to be able to cut through it. 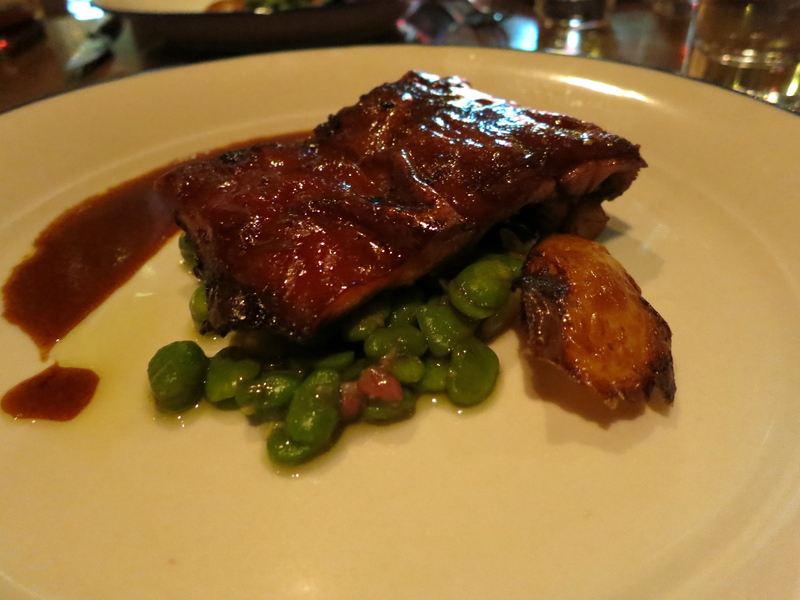 The fava bean ragout was wholesome and very tasty, yet I must say I preferred the side dish of broad beans, peas and girolle salad. Dessert thankfully didn’t include mushrooms; instead it came in the form of a mushroom, as a Vanilla panna cotta Shroom with chocolate, almond crumbs, cocoa powder, mint and espresso. 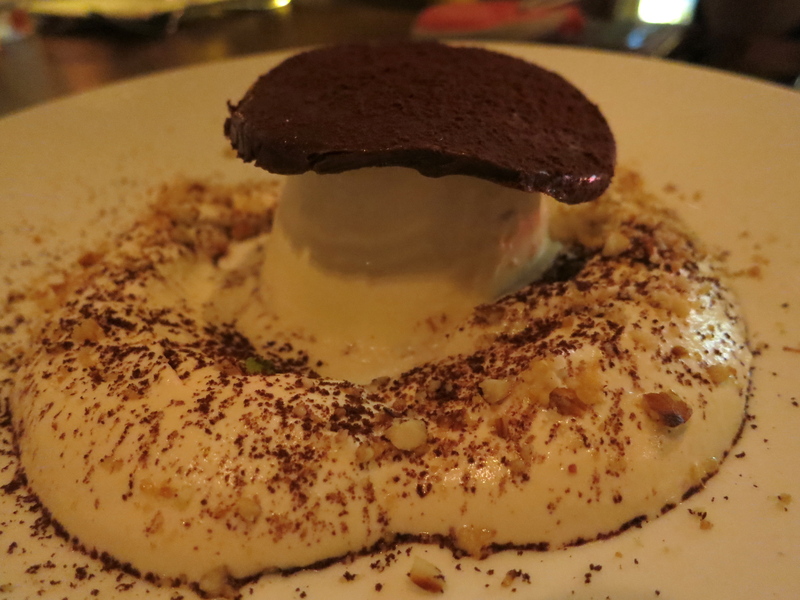 The presentation was beautiful and it tasted lovely too, with the delicate flavours of the panna cotta contrasted with the rich chocolate, refreshing mint and light essence of coffee. 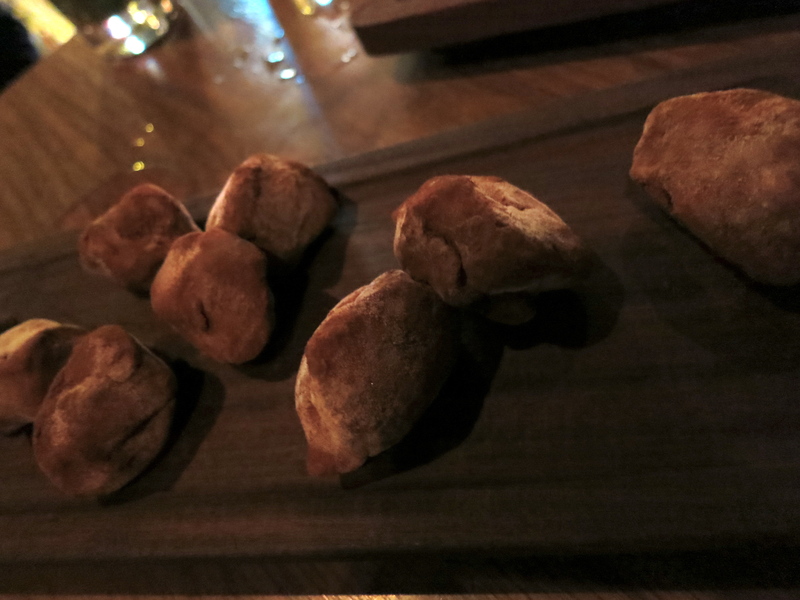 A plate of delicious chocolate truffles (made to look like the mushroom counterpart) was also laid before us. These were absolutely faultless…I only wished there had been enough to take a little box home with me! 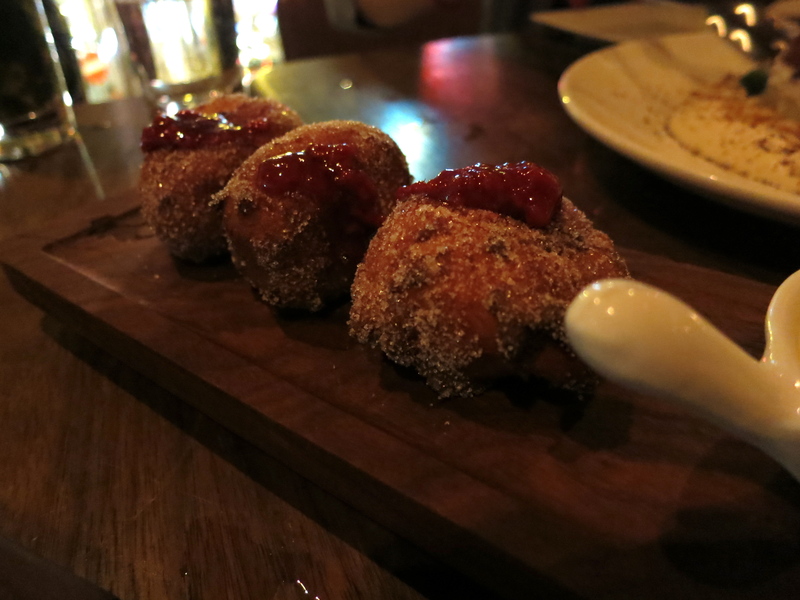 And finally, with no connection whatsoever to mushrooms, but simply because they are amazing, we shared a platter of Homemade ricotta bomboloni: sweet Italian fritters with raspberry marmalade and a mascarpone zabaglione (isn’t that fun to say?!). These were remarkably light and dangerously more-ish. Thankfully, they are a constant on the a la carte menu, so I implore you to try them on your next visit to 208. This three-course menu (along with extra treats such as the canapés and the truffles) costs $428 per person, similar to what a normal meal from the upstairs a la carte menu would cost, without drinks. Service is efficient, staff is friendly; clearly they’re doing everything right, as the place has been packed since it first opened. 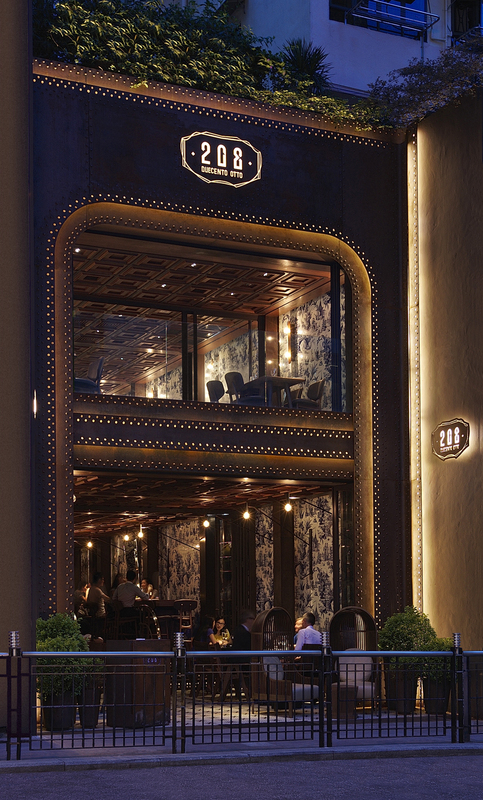 In short, with so many restaurants to try in HK, 208 seems to be one I always continue to go back to…need you ask why?